Support from the business community is vital to the success of our festival. Our goal is to give these supporters the highest possible return on their financial investment. Our opportunities include premier signage, website visibility, onsite location and many more ways to gain exposure (all sponsors over $350 receive a free booth space). 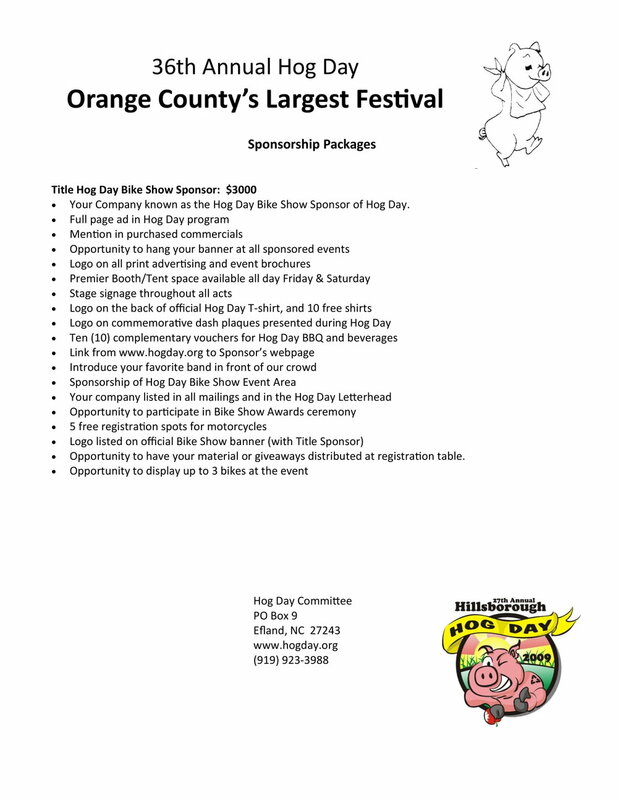 Hog Day at its height has attracted 50,000 people to our town and received state-wide and national exposure as one of the best festivals in America. 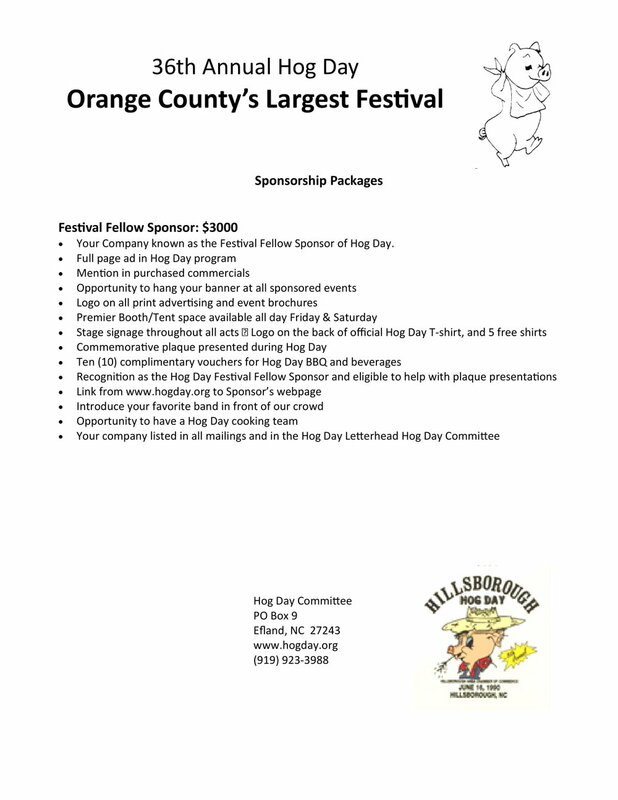 You can find our complete sponsorship info below, with something for every budget. 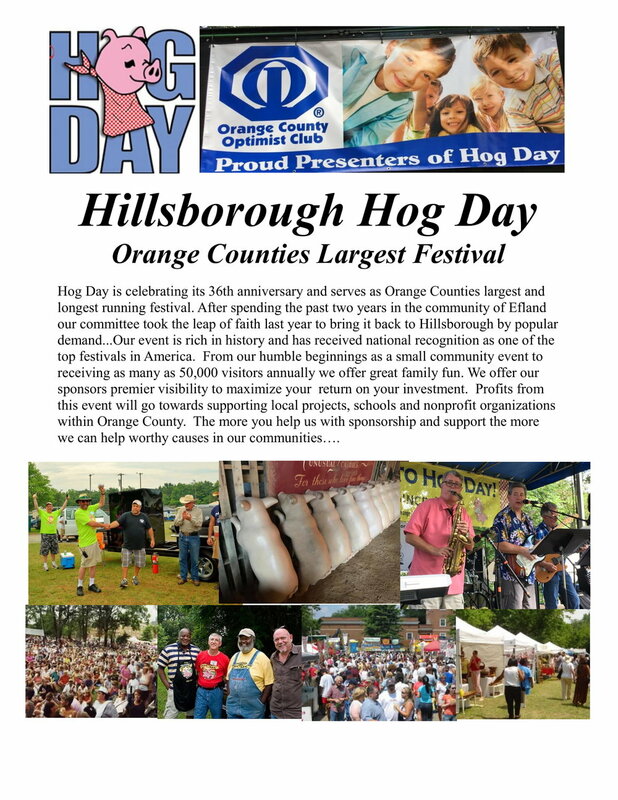 If you have questions feel free to pop us an email to info@hogday.org or call 919 923-3988.